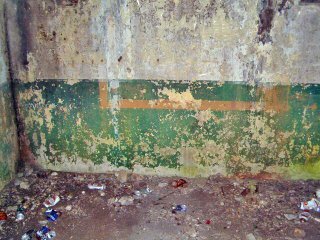 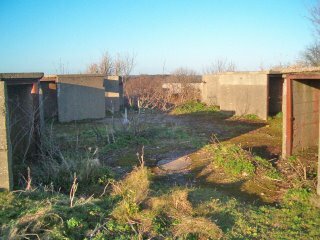 Just West of Citadel Battery, on Dover's Western Heights, are the remains of a WW2 Heavy Anti Aircraft Battery (HAA). 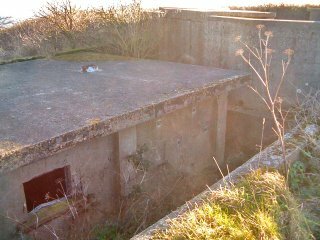 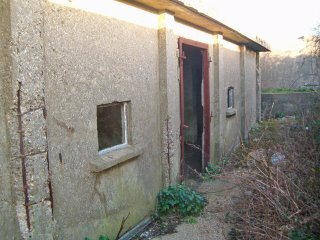 It was originally named D1 (D2 being the Wanstone Farm AA battery; D3 being at Frith Farm and D4 at Buckland). The guns were 3.7" and were mounted on the site at the beginning of World War II. 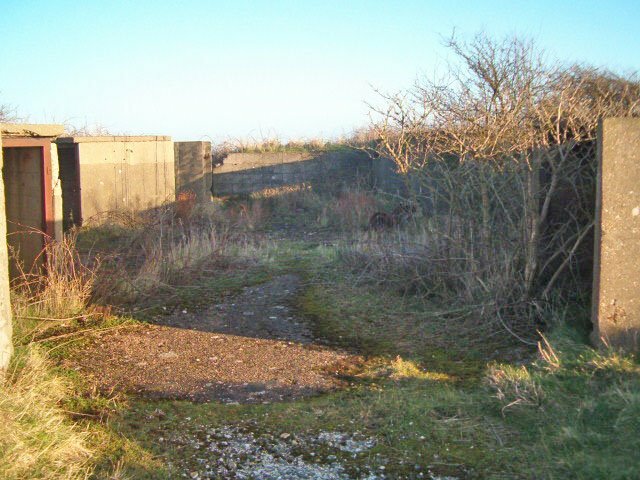 The site's layout is very similar to that at Wanstone Farm, with circular road linking the four concrete emplacements, each surrounded by a ring of shell lockers. 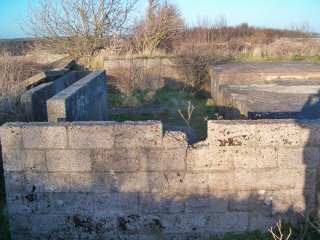 Associated buildings, such as a Guard Room and shell stores are also located around the site. 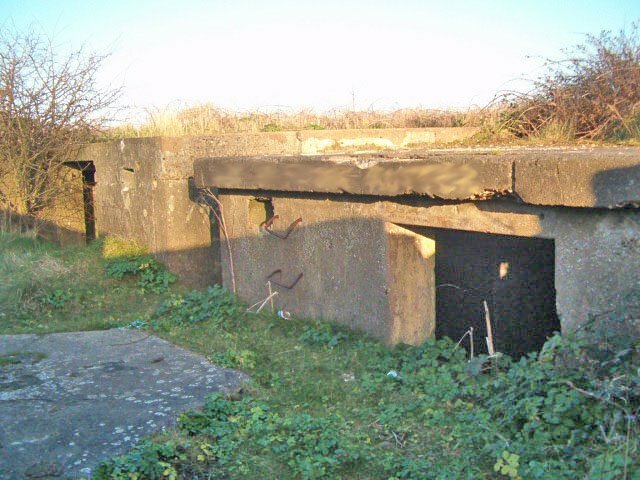 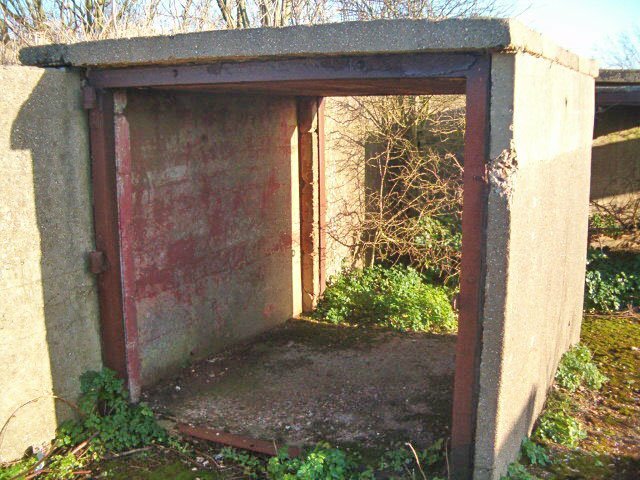 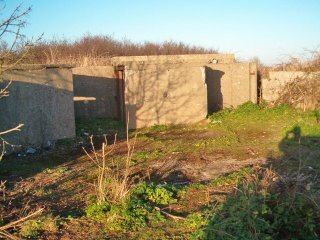 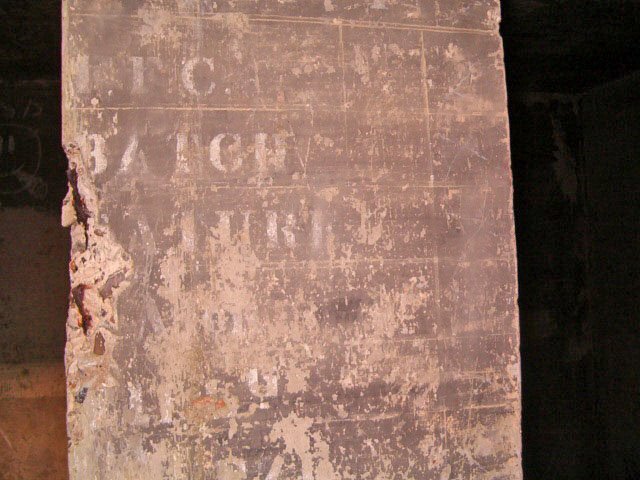 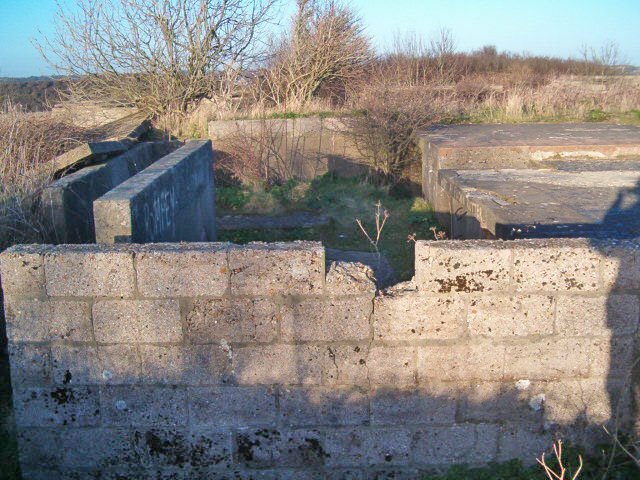 The crew accomodation area was located some 300 yards East of the battery, but the buildings have been demolished and only foundations remain. 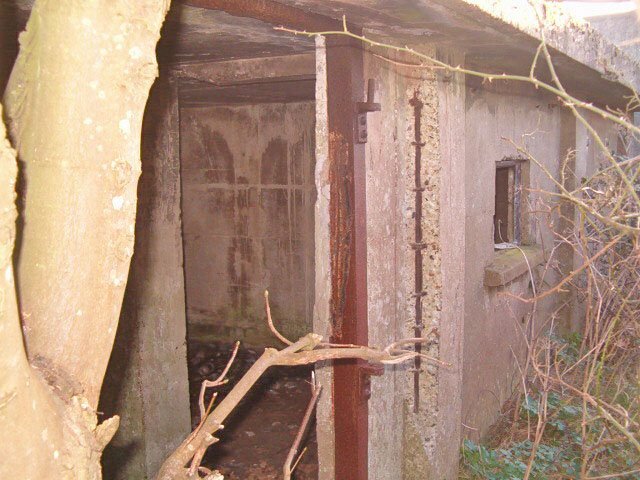 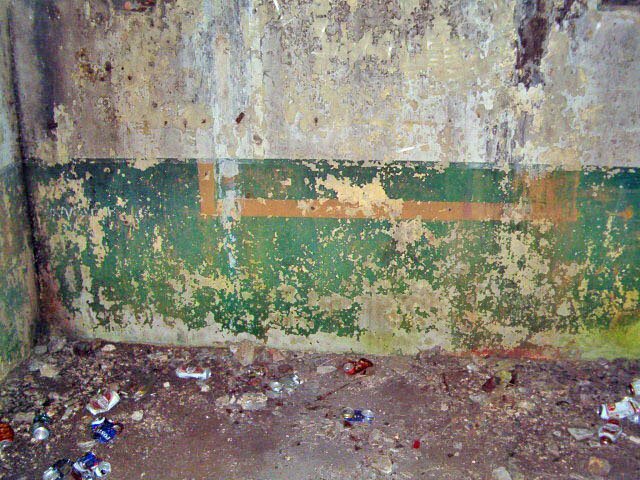 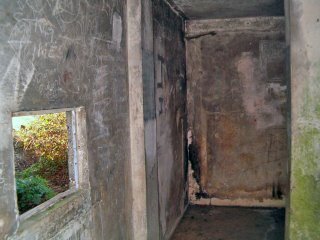 This battery is on open land, but remains derelict. Are you aware there are anti-aircraft gun emplacements at Thorness Bay on the Isle of Wight? At Dukes Farm. 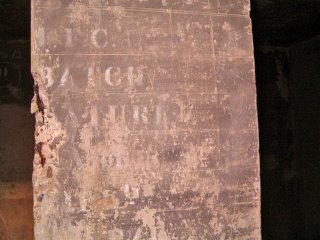 Thought I would share my flight around the battery in October 2015.